Changes: I used the larger needle for the upper leg portion after hearing from several people that it came out too tight. 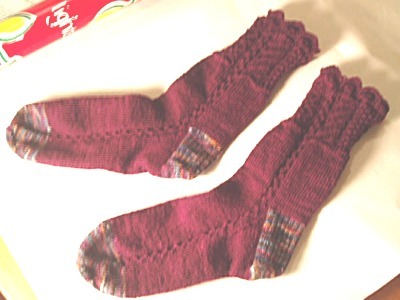 I used the contrast color for the heels and toes because I only had two skeins of the solid color. The pattern calls for three and it definitely needs three. I used all of the solid and didn't knit the legs as long as the pattern calls for.